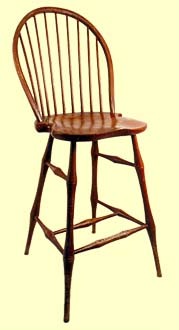 Traditional Windsor chair made from maple, poplar and hickory. Available in an aged and distressed paint finish. Bamboo turnings only. Also available in Kitchen Counter Height.